The new electric SUV will have a 480km range, enabled by an enhanced +80 KWh lithium-ion battery pack. Launch is planned in the second half of 2021, priced below $40,000 (Rs 25.28 lakh). Here’s the very latest news on the electric vehicle front and it’s a Fisker. Fisker Inc, designer and manufacturer of some of the world’s most desirable electric vehicles, breakthrough automotive technology and advanced mobility solutions, has released early details on a snazzy new all-electric SUV design, priced below US$40,000 (Rs 25.26 lakh) and set to launch in the second half of 2021. Fisker's announcement comes just four days after the unveiling of the Tesla Model Y, a new seven-seat electric SUV with a range of up to 300 miles / 480 kilometres. Like the Model Y, the as-yet-unnamed Fisker will be priced from less than $40,000 in the US. It features what the firm calls “captivating design touches that have been traditionally reserved for supercars in the past”. The futuristic, muscular all-electric SUV, which bears clean surfaces and a dramatic shape, will be available in four-wheel drive with two electric motors – one at the front and one at the rear. It will come standard with an extended range (target of approximately 300 miles / 480 kilometres), enabled by an enhanced +80 KWh lithium-ion battery pack. The company says more details will be released closer to launch. Set at a base price below US$40,000 (Rs 25.26 lakh), the final pricing and a drivable prototype are expected to be revealed by the end of 2019. Fisker Inc is currently finalising the selection of a facility, located in the USA, to produce the all-electric SUV. The affordable mass market e-SUV features captivating design touches that have been traditionally reserved for supercars in the past. Some highlights include a small, centre high-mounted radar – behind glass – that replaces a traditional grille no longer a necessity on an EV; a parametric pattern dominates the lower front, where air cooling is directed only as needed and lower body aerodynamic features. Fisker, which is set to sell directly to consumers, is also working on a nationwide (USA) concierge service model for a superior user and maintenance experience. The company will begin accepting early deposits closer to the start of production. 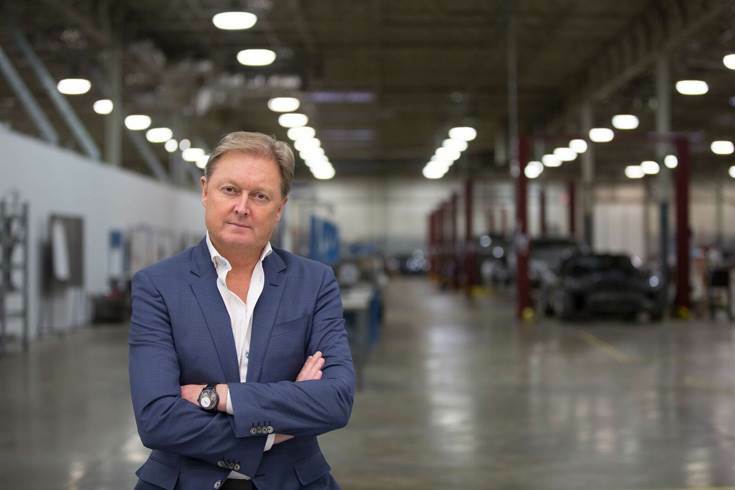 Henrik Fisker: "We’re now excited to be introducing a vehicle that truly reinvents the SUV. At an affordable price point, starting below $40,000." Insight: could Fisker become the next Tesla?